As Indians gear up to celebrate the festival of lights, and that of the triumph of good over evil, there are certain lessons for us to imbibe. The lights signify overcoming the darkness that is ignorance to illuminate ourselves with the light of knowledge. 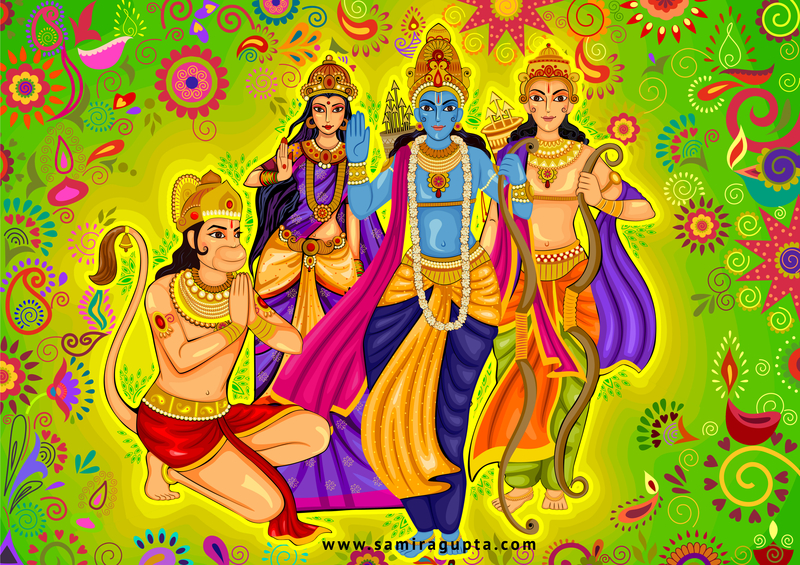 The story of Ramayana is retold to us every year on this occasion. Just like any story with a moral, there are leadership lessons hidden within this great epic too. Lord Rama breaks the bow and wins Sita’s hand. This is a remarkable example of how he uses his talents and skill sets to stand out from others in the game. This then is the mark of great leaders. They constantly strive to do better and upgrade themselves to rise above the competition. Dasaratha’s queen makes a wish at a time that she finds is most opportune. While commitment is a great virtue in any leader, it should be made upon an understanding of the long-term consequences. Although it was an accident, Dasaratha shot the young boy with an arrow thinking of him like a wild animal. What Dasaratha chooses to ignore and postpone comes back to him later. Pragmatic leaders know better and accept their shortcomings. They are open to learning and bettering themselves and do not ignore their flaws. Great leaders are adept at handling crisis – personal or professional. The image of a leader rests on not just his appearance but also his capabilities. Visionary leaders do not encourage temporary resolutions but rather handle situations adeptly. Their attitude is always positive. Although Ravana was known to be a great leader, he also had a massive ego and did not listen to the opinion of others – which further led to his downfall. It is imperative for a leader to be humble and open to suggestions for improvement, without which they can experience downfall over time. A great leader’s judgments are never clouded by ego. We may not get to choose the role we play in our lives, but we can definitely choose how we wish to play it! Leaders of every kind can learn from this and be open to improvement. Each of us needs guidance and for leaders, this guidance comes in the form of a life coach who can identify the areas that need work. This Diwali, let us strive towards accepting feedback, subduing our ego, and learning each day of our life. Best wishes for a happy and prosperous Diwali.